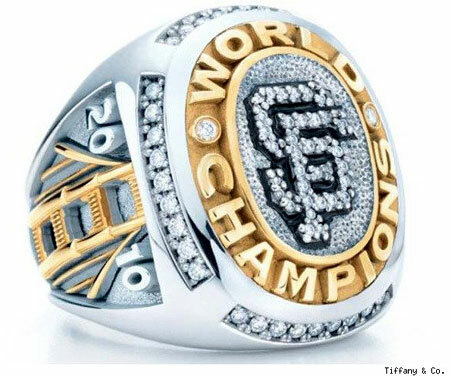 Tiffany & Co has presented the World Champions golden ring with SF diamonds to commemorate San Francisco Giants, the 2010 U.S. Major League Baseball champion. 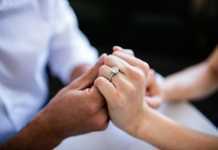 The luxurious ring is made of 18-karat white gold with accents of yellow gold and encrustation of 77 diamonds of 1 carat. The seal is trimmed with the logo of San Francisco baseball team – Giants SF – and the World Champions inscription, while on the sides the year of the victory is indicated – 2010. Source of the image: Luxist.